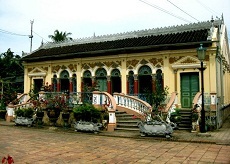 The climatic features of this area are similar to the other provinces of the Mekong Delta. The temperature rarely falls under 150C and the rainy season lasts from May to November. It is wonderful to take a boat trip along the riverbanks on fine weather days. On the east bank of Hau River is Ninh Kieu Wharf, which is well known for its beautiful location. Not too far from the wharf is a floating restaurant connected to the bank by a bridge. 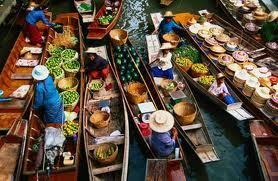 Visitors travel along the waterway to the floating restaurant to taste eel dishes, a specialty of the region. Can Tho University accommodates approximately 2,000 students in the fields of agriculture, medicine, and teaching. Take a trip down the watery network that surrounds the Cuu Long Delta's Can Tho and you'll see why locals have a special name for it. To them the miles of inter-connecting canals and rivers are simply "the green lungs of the Mekong." Self-praise indeed, but a half-day gently putt-putting round the Hau River on an ever-bobbing motorized canal taxi might have you agreeing. Can Tho, over its 200 years as the main town, now the city of the province, and once known as Tay do, or Capital in the West, may have had many names, but has clung determinedly to its identity. The 150,000 population city is the hub of the main Con Son and Con Au waterways which nurture the local rice and fruit trade. 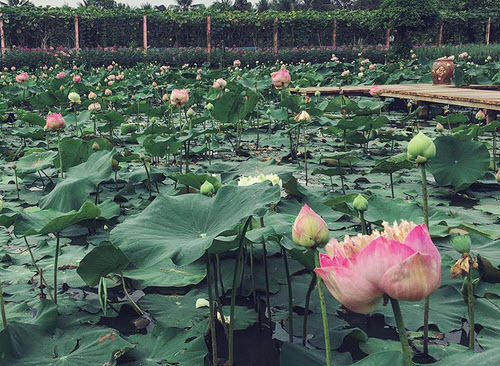 But it's not just agriculture that fuels the area: an art and cultural centre, a university, and a museum dedicated to Ho Chi Minh, have seen visitor numbers increase. And for those who have never made it to the area, it's a sure bet they will have experienced its flavour in its Cau Duc sweet pineapple, its sweet potatoes and taro, and the coconuts of the U Minh Jungle, which have spread its reputation as a fruit basket region far. 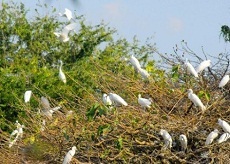 The marshy Lung Ngoc Hoang mangrove forest, strategically placed to escape the natural clutches of the occasionally threatening Hau River and the waters near Bac Lieu, also offers a shelter for wildlife. There fish, crabs, tortoises, and yellow boas and snakes, seek their seasonal shelter at a place where war-time troops often sought strategic refuge. Experts are looking at whether the area, and especially its river water ecosystem, could sustain the accolade of National Reserve. It's those water courses that are the life-blood of the area and the favoured route of transport for goods bound for its legendary floating markets. On land the fragrance of frangipani trees wafts around the city's communal house and its 72 columns of black hardwood which commemorate the making or the saving of the area. Locals will joke that "the soil is plentiful but the people aren't" a reminder of those who were forced to leave after a succession of heavy floods made earning a living impossible. The endorsement of a general, revered in that communal house, was seen as instrumental in saving the life of a special envoy of the Court, dispatched in 1852 to check the plight of the Hau River dwellers, but whose flotilla was swamped by a cyclone. 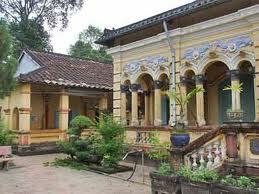 He found shelter in a small waterway and survived to dub it Binh Thuy, or Quiet Water, and asked King Tu Duc to favour the area. Success and prosperity followed, the communal house became a more solid structure and is still revered widely, especially in two annual ceremonies. But visitors are ever-fascinated by the area's bustling floating markets up the Hau River at Con Khuong, Con Son and, further a field, Con Tan Loc in the more prosperous Thot Not District. Other areas hope to bask in that economic upturn as part of a five-year rolling program by local officials involving boosting the use of the waterway system. Cai Rang is the largest floating market in the Mekong and the traders are more motorized, but the markets at Phung Hiep and Phong Dien are more relaxed and less crowded. And in the Year of the Snake, Phung Hiep's fortunes are delicately balanced. 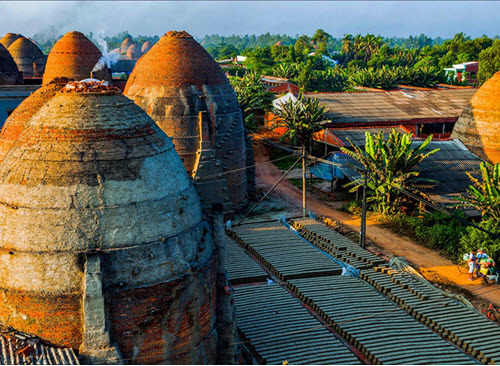 Can Tho is a province which enjoys fertile soil conditions. 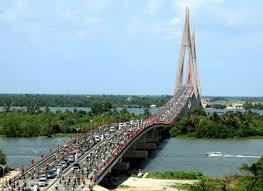 It is located in the middle of the Mekong River delta. It is thought of as a great bowl of rice in Vietnam. The province is 168 kilometers south of Ho Chi Minh City. Climate: There are two distinct seasons: the dry and the rainy seasons. The province is endowed with sunshine all year round with a high humidity. There is almost no storm shitting the province. Average temperature is 26,9 degree Celsius. The province is inhabited by the Kinh which is the majority group. Other ethnic groups include the Hoa and the Khmer.